The queue of countries producing wines from Cabernet Sauvignon, Merlot and Chardonnay is long and growing. So what are the chances for the late arrivals on the world stage? Not that much. They can join the queue and face a brutal competition or they can try their luck with indigenous grapes. The questions are the same in all Balkan countries, Greece, Bulgaria and Romania too, and the answers seem to be quite similar as well. After some success with the international grapes, the Romanian producers now turn their attention to local ones. Without too much debate, the Feteasca Neagra (Black Maiden) seems to be the obvious candidate for the flagship variety. Planted on more than 2500 ha, it is one of the most widespread red grapes following Cabernet Sauvignon and Merlot with its area having increased continuously since Romania became part of the EU in 2007. It can be found mostly in the southern part of Romania, especially in Dealu Mare, Moldova and Oltenia, but nowadays it is everywhere, even in northern regions where traditionally only white grapes were cultivated, like Tarnave (Transylvania), or even in the cooler Cotnari. The other two red candidates, Negru and Novac, even though they produce characterful and age worthy wines, are cultivated on very limited areas in the Dragasani region, in the southern part of Romania and only by a handful but high quality producers like Prince Stirbey and Avincis. However, Feteasca Neagra is not an easy grape to grow. Because of its high vigour requires a lot of work in the vineyard and due to its thin skins it is susceptible to fungal diseases, especially powdery mildew. Despite all the effort, the yields and the quality of the grapes are inconsistent. Deciding the optimum harvest time is even a bigger challenge than for other red grape varieties, because it is prone to accumulate too much sugar before it reaches phenolic ripeness. This is one of the reasons why in the past so many semi and sweet wines were produced, and even today this style is very common on the basic quality level. Winemaking is not that easy either. Due to the natural tendency to accumulate high level of sugar, it is unlikely to find wines with alcohol below 14% abv; most are rather close to 15%. Balancing this is a difficult target, the moderate level of acidity, tannins and flavour concentration does not help too much. The usual solution is to use new oak, and way too often too much of it. This rises a few questions: Why are so many Feteasca Neagra over oaked? Lack of winemaking skills or is this the style still preferred by the wine consumers? With delicate flavours of red and black fruits, especially ripe, black plum, soft, velvety tannins, round body, this grape seems to be better suited for fruity, instantly appealing wines, rather than for extended aging in new oak barrels. Winemakers try hard to create big, complex wines, but so far, there are not so many convincing examples of this style. Even the Purpura Valahica, from Davino (Dealu Mare region), which is considered by many the best Feteasca Neagra from Romania, shows perhaps evidence of excellent winemaking skills, than of inherent grape qualities. Another way to go is blending, mostly with Merlot and Cabernet Sauvignon, but there is one good example with Cabernet Franc from Balla Géza (Minis region). These grapes provide the much needed structure, but they can easily overpower the delicate aromas of Feteasca Neagra. However, when it is used just as a complementary part, the flesh and soft tannins of Feteasca Neagra help the wines to become rounder and more enjoyable. Nowadays the most interesting wines are coming from the cooler Transylvania, located in the northern part of the country. Traditionally this was a white grape only growing region, but this is changing, thanks to the lack of strict regulations, global warming, but mostly because of winemakers' willingness to experiment with new grape varieties and techniques. Here the aromas of Feteasca Neagra are more fresh, the alcohol a bit lower and the acidity higher. The need for new oak to strengthen the structure is less, and the wines are more balanced, fruitier and livelier. No wonder, the most expensive Feteasca Neagra, made by LiIiac (Tarnave), comes from this region. 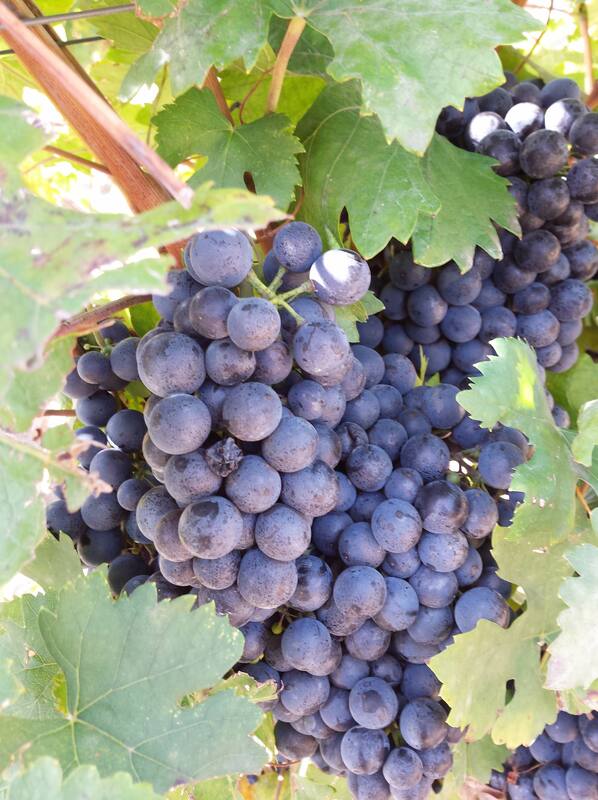 Feteasca Neagra is a versatile grape and it is not necessarily a drawback that it does not have a strong character. Chardonnay does it ring a bell? This leaves many routes open for winemakers to explore, perfect the existing styles or find new ones. Lets hope that it will not take generations to answer how an ideal Feteasca Neagra should be. He studied economics, but ended up working as a software engineer and till this day, Zoltan Kormos develops code to earn the money he spends on wines. He started his formal wine education in 2011, became fascinated and did not stop until he was between the first two graduates of WSET Diploma in Romania. Organises wine tastings on a regular basis and tries to pass his knowledge and passion as a wine educator.